Check out the printed program here. 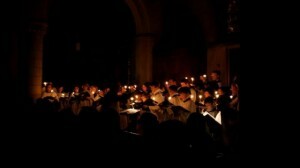 Lessons and Carols Preview from Kyle S. Reyes on Vimeo. A beautiful respite from the stresses of December. 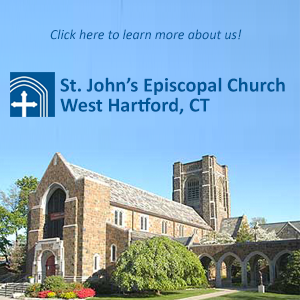 The St. John’s Adult and Youth Choirs present the advent message of anticipation and grace through meditative anthems, poignant readings, and carols sung by the gathered congregation – all in the grand English style. 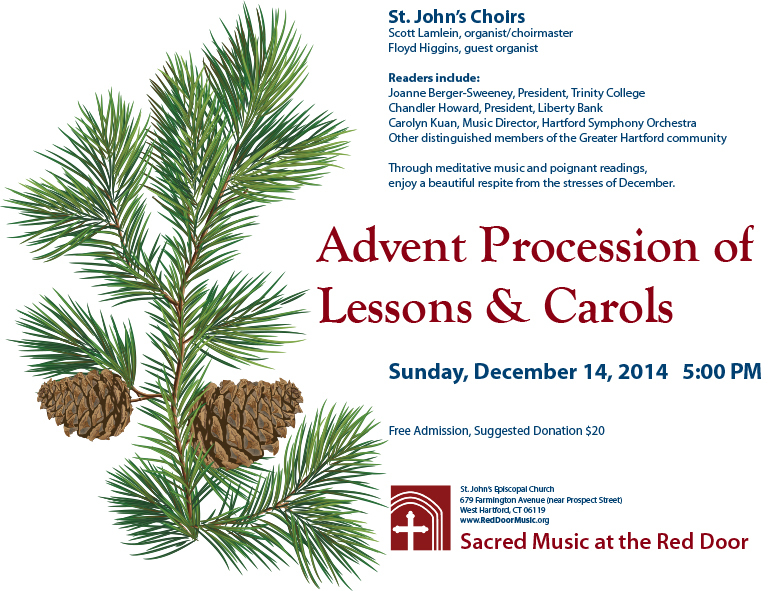 Join us as the St. John’s Choirs proceed literally and symbolically from darkness into light. 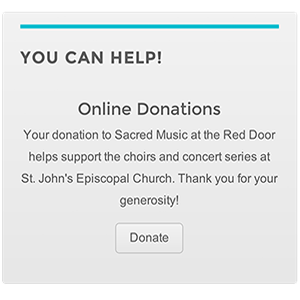 « Sacred Cello & Piano	» Silent Film Screening: Steamboat Bill Jr.